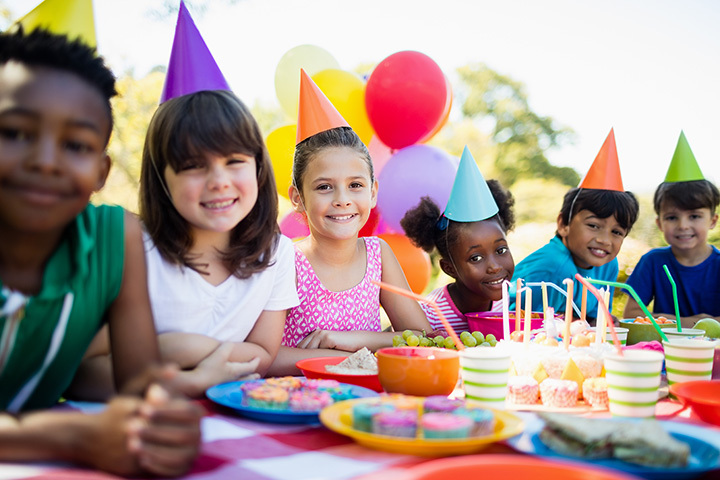 Your child’s birthday party should be one of the best days of their lives, and having the right venue can make it possible. Truth be told, throwing a party is a lot of work - from setup to cleanup, food prep and planning, there’s a lot that goes into creating a party your child won't’ want to forget. These 10 best places for a kid’s birthday party in Georgia can assure you have almost nothing to worry about, so you can spend time enjoying the party, too. This place is exactly as its name describes it: a place where small people can explore a tiny town built just for them. Kids of all ages can apply for a “driver’s license,” then hit the streets in their own little car and explore a delightful city while obeying the rules of the road. It’s equal parts educational and fun, and there’s no birthday party experience quite like it anywhere else in Georgia. Truly a party fit for any prince or princess, this tea party experience is unlike any other. They have all the Disney princesses on speed dial, so you can bring in your child’s favorite character to create a party they’ll remember for a lifetime. Whether you want a dress up party, special theme, or just a nice little sit down to tea, they have plenty of ways to accommodate and make your day extra special. This Interactive Neighborhood for Kids is a tiny little town made for big imaginations. Interactive zones like a post office, theatrical stage, and grocery store give kids a little taste of grown-up life in an environment that spurs thought and creativity. Birthday packages include up to 15 guests and all the flexibility in planning you could ask for. This LEGO-themed wonderland is perfect for any birthday boy or girl who wants an imaginative party they just can’t get anywhere else. Part of a national chain (and the only location in Georgia), this place offers a private room where kids can build their own Lego cars for racing on the derby track or zipline, or just about any other free-play creation. Guests can take home their miniature creation, and the venue provides all the setup and cleanup to take it off your hands. This indoor skating center offers multiple levels of fun for all ages. A huge skating area, arcade room, laser tag, and play area mean there’s never a dull moment in every party. Their packages also offer tons of customization options, such as glow parties and character meet-and-greets to create the birthday experience of your child’s dreams. This imaginative kid’s center has plenty to keep growing minds entertained and delighted for birthday parties. Their party planners help create the perfect theme, complete with activities your birthday boy or girl can’t resist. Parents love the reasonable prices, especially considering the dedicated attention and service the folks here give to every party. Perfect for any diva, this spa-like experience brings Zen to every party and helps you melt away the stress of party planning. Kids and their party friends can receive a unique spa treatment, such as nail painting or facials, or even a cupcake decorating session. Parents rave about the specialized attention they give to the birthday boy or girl and their guests, so expect nothing but the royal treatment. As the only entertainment venue in or around Tifton, there’s no shortage of family-friendly fun that’s suitable for every age. Inflatables, obstacle courses, an arcade, toddler play area, and a mini ride-on train give you plenty of options to treat your party guests. Parents love the cleanliness and professionalism of the venue, giving you less to worry about on party day. This indoor play place is brimming with things to do for kids of all ages. Parties include all the setup and cleanup, so you don’t have to lift a finger. They have a sprawling playground for party guests to have all the fun they want on party day, as well as add-on items like face painting and goody bags to take more of the stress off you. Parents love the parties here because of the personalized attention they give to every birthday boy or girl. Kids get full use of the tumbling gym, giving them a chance to experience new activities and enjoy every moment of the party. The staff here goes above and beyond to create a memorable day, from decorations to cleanup to ensure you can spend your time creating happy memories.